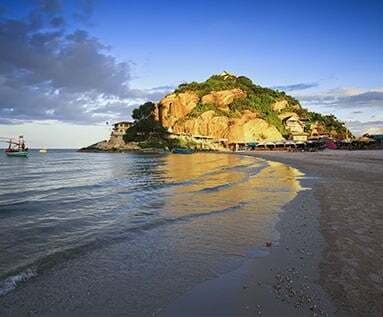 Thailand is rated the second most desirable country in Asia by International Living and, within Thailand, Hua Hin is chosen as number one beach resort for people that value world-class golf courses and the kilometers of white sandy beach. Hua Hin is trimmed by a seven kilometers long stretch of beach and a clean shallow sea. The beach is used for a variety of activities including horse riding, kite boarding, traditional Thai massage, and alfresco dining on fresh seafood. 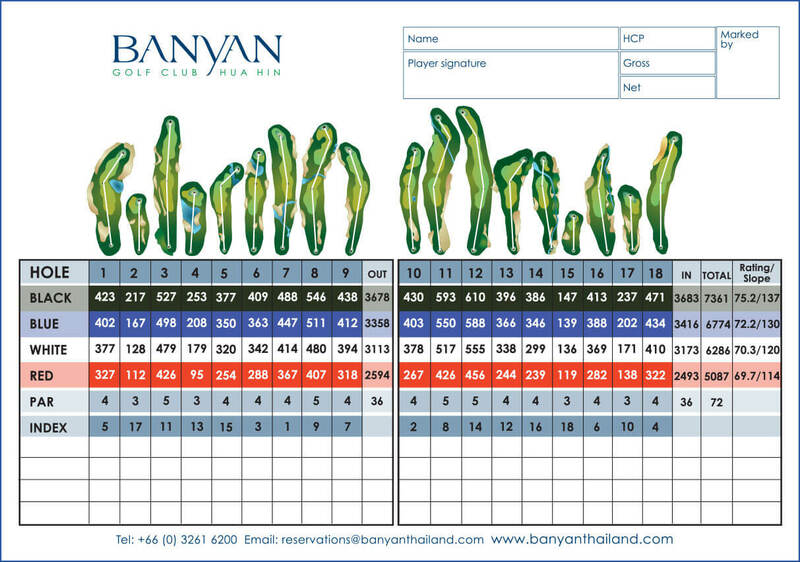 The interesting places are such as Vineyard, Petchburi, Bangkok, Hua Hin, Palace, Koh Talu, Kayak activity and much more. Further south of the town, there are several beautiful sheltered coves and quiet beaches. 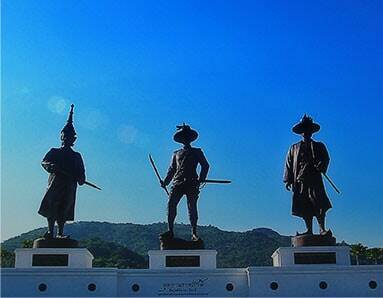 Kaeng Krachan National Park, and Sam Roi Yot National Park, known as the ‘mountain of 300 peaks’ are also nearby. 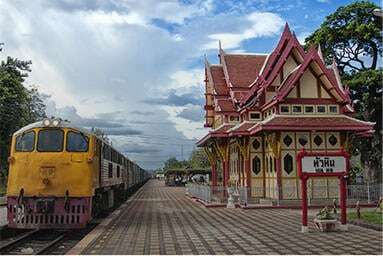 An iconic piece of local architecture, the red-and-white pavilion that sits beside Hua Hin’s train station once served as the royal waiting room during Rama VI’s reign. 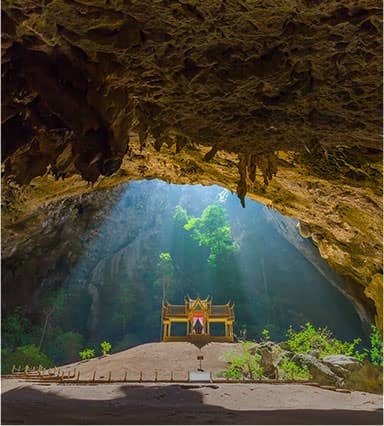 One of Thailand’s most beautiful and certainly the most photographed one is the Phraya Nakhon cave in Prachuap Khiri Khan province, about a 45 minutes drive South of Hua Hin. Close to the Banyan Residences, Rajabhakti Park is a historically-themed park honouring Thai kings from the Sukhothai period through to the current royal house of Chakri. Vana Nava Hua Hin, Asia’s first water jungle, is located just 5 minutes from Banyan Village. 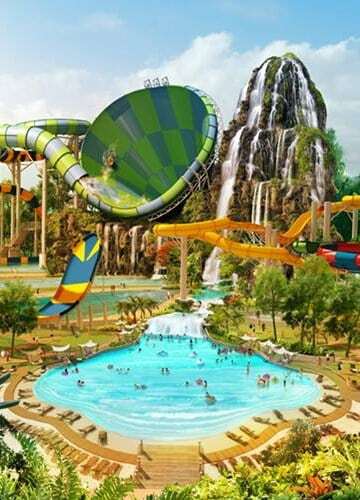 Combining state-of-the-art technology and modern facilities with 19 very exciting rides and slides, Vana Nava Hua Hin has made a very big splash in Thailand’s tourism industry. This new landmark shopping mall is only 5 minutes away by free shuttle. 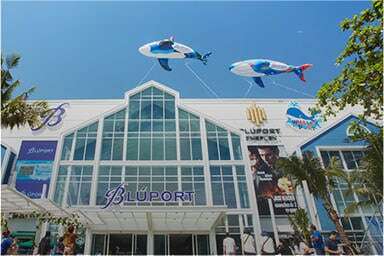 Bluport is outfitted with all the ingredients to deliver the most delightful shopping, lifestyle and entertainment experiences in a relaxing resort atmosphere. This world-class multi sports facility offers a wide range of sports like fitness, basketball, volleyball and squash. 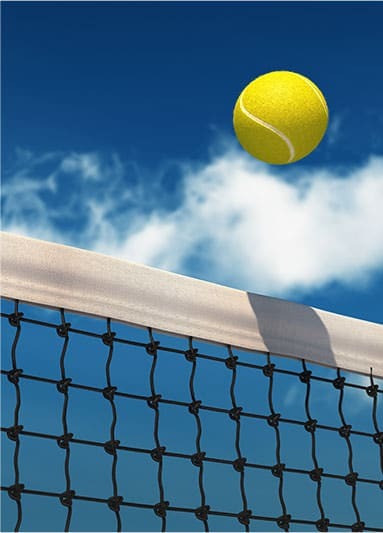 The outdoor tennis stadium is designed for world-class tournaments, but also perfect for a recreational match. Well-known for their spectacular sunrises, Hua Hin’s beaches are kilometres of long, white, sand that meet the Gulf of Thailand.